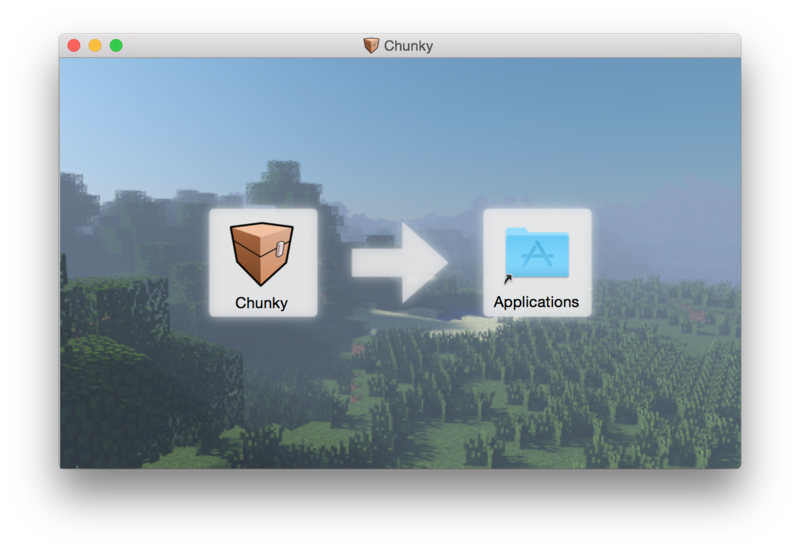 I’m happy to announce that Chunky 1.3.5 has finally been released after a slow trickle of features and bug fixes over the past several months! This post will highlight some of the notable changes since 1.3.4 with pretty pictures! I am now building Mac bundles again for each release. Mac bundles are a simple way of installing Chunky on your Mac if you have one, however I currently only test it with the Oracle Java distribution on a 64-bit machine, so it might not work for other Mac systems. There are some minor problems with the Chunky UI on Mac to improve in the future. 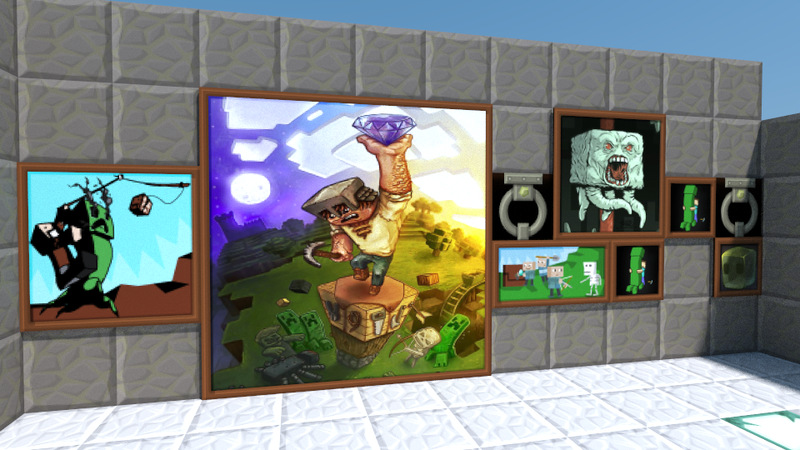 Paintings are now rendered by Chunky. This was not a highly requested feature, but one that relied on entity support. With the entity rendering framework in place it will be easier to add rendering of other entities in future updates! Chunky now renders an approximate outline of the camera’s field of view on the 2D map, seen as a yellow rectangle in the screen shot below. You can right-click on the map to bring up the context menu and select all visible chunks inside the camera view indicator! 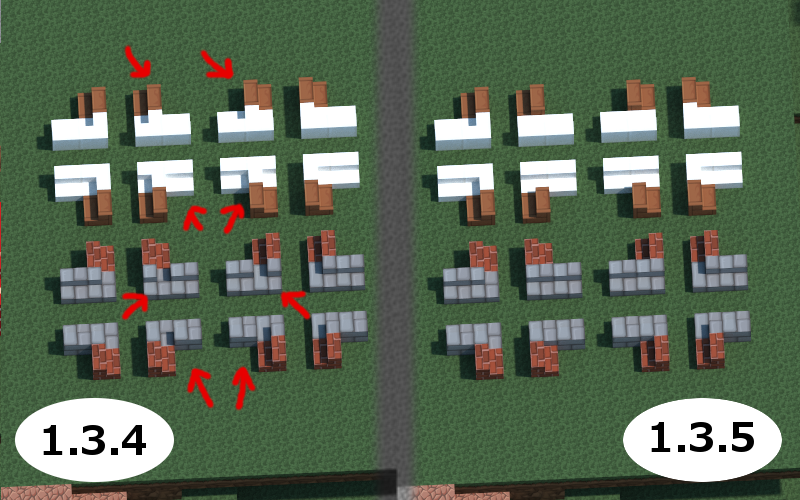 This makes it much easier to load the right chunks for a specific view. Hilly terrain can still be problematic because the camera view indicator is based on the assumption that the world is flat (and supported by elephants). The icon for the “Water” tab in the Render Controls dialog was loaded directly from the current texture pack. This caused the tab to become ridiculously large when using a high-resolution texture pack. There is a new icon for this tab now with a fixed size, so that the tab will keep its intended size. There are some new icons for a few other things as well in the UI. The fog and atmosphere rendering system in Chunky was a hastily designed piece of junk. It has been rewritten to be simpler and faster. The new fog system allows everything from very light haze (aerial perspective) to thick fog to be emulated with a single fog density slider. You can even choose the color of the fog! Check out my previous post for more info about fog. Certain configurations of stairs rendered incorrectly. Some mushroom blocks rendered with wrong textures. Fog did not work correctly around stairs. 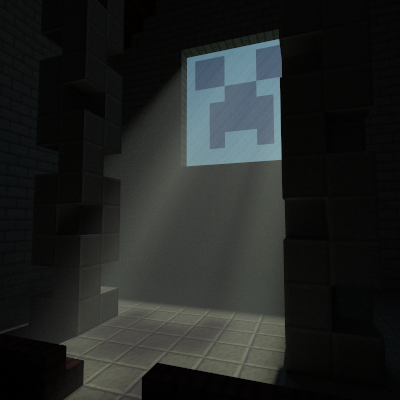 Fixed lighting bug for underwater blocks. Fixed rendering of buttons using the new button orientations (since MC 1.8 buttons can be placed on the top/bottom of a block). Note that some of these fixes require reloading the chunks in scenes created with Chunky 1.3.4. 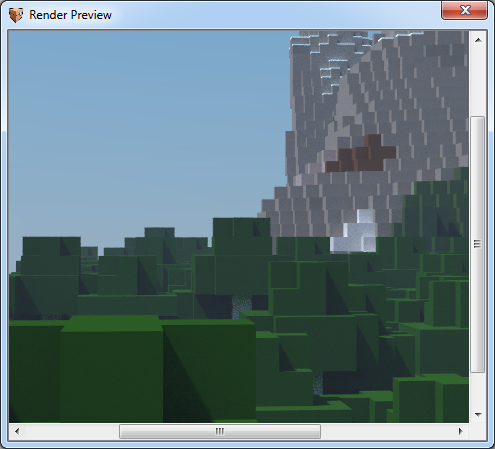 The Render Preview window now has scroll bars, and no longer stretches the rendered image to fit the window. This seems like a small thing, but I was constantly annoyed that changing the window size stretched the preview image. Scroll bars make a lot of sense on a small screen or when rendering a huge image. Great job! Can’t wait for mob support. Is that to be expected in the next months or shouldn’t I hold my breath? Thanks for the work. Very appreciate it. I’m especially glad to see a fog slider and scroll bars for the preview window. I am happy that paintings can be rendered now, but I never really bothered with small enough scenes for painting.